Click Here To Download The FREE Get Ready By The Temptations In 3 Simple Sections PDF! Learning new songs can be daunting. Learning new songs can be complex too. Learning new songs can take hours of rehearsal. I remember they days of putting the gear in the car, driving to the rehearsal studio every Tuesday night… and trying to ‘perfect’ the same 30 songs my band was learning for a gig 3 months away. Fast forward 20 years I’ve learned a thing or two about how to learn songs quickly… and how to play them with zero rehearsal too. The key is breaking them down. 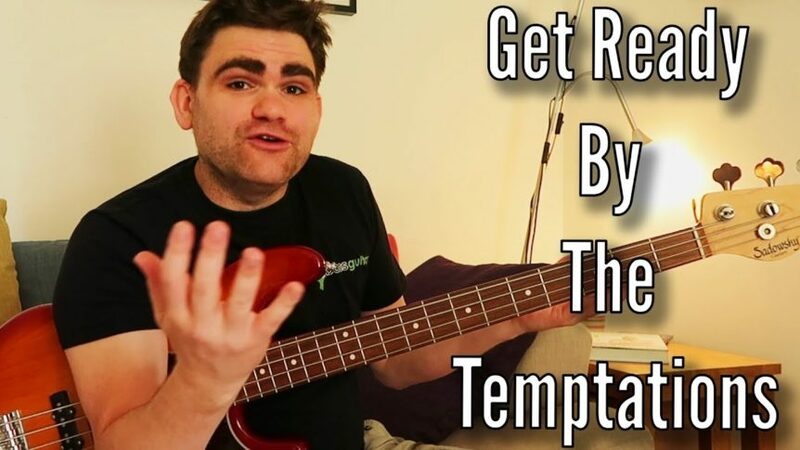 In this video I want to show you how to breakdown the legendary Temptations song ‘Get Ready’ into 3 simple sections. I’m also going to show you WHY jumping on the internet and searching for tabs might actually be slowing you down too. There’s also a ‘challenge’ towards the end of the lesson. Make sure you let me know how you get on in the comments below. P.S. There’s a free PDF for this lesson… make sure you check out the link below the video in the description.